Make some noise for the Bhoys with our 100% authentic New Balance Celtic kit from our store. 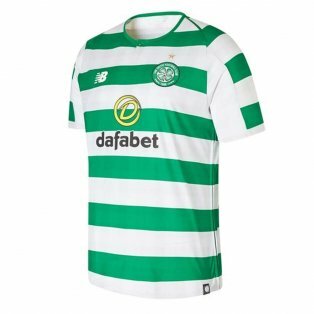 With our specialised print service, you can now wear the famous hoops with the name and number of your favourite Celtic player, past or present! 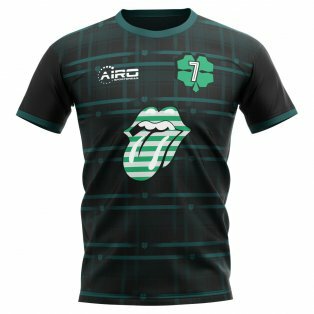 You can even get your own name printed on your Celtic football shirts. With adult and kids sizes available you can kit out your family and do the huddle. 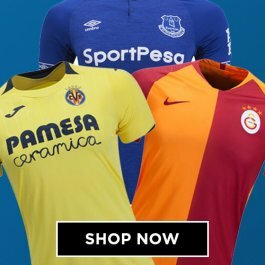 We also stock shorts, socks as well as training kits, polo shirts, jackets and tracksuits so there’s something for everybody. 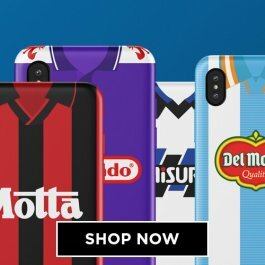 We ship worldwide. 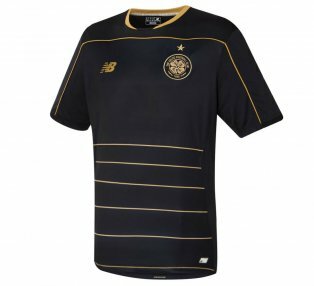 The Glasgow Celtic jerseys are one of the most iconic and instantly recognisable football shirts in the world. Nicknamed The Hoops as a result of their distinctive green and white hooped shirt, Celtic are one of the most dominant forces in Scottish Football where they compete with bitter city rivals Rangers. The club have a proud Irish heritage which has seen them attract the support of millions of people around the world. In 1967, Celtic became the first British club to win the European Cup when the Lisbon Lions defeated Internazionale. The side have been immortalised in Celtic history and even have a stand named after them at Parkhead. Despite their size and fan base, Celtic suffered financial problems in the early 1990s and were within hours from going bankrupt before being saved by Canadian businessman Fergus McCann, who revitalised the club and laid the foundations for a period of success. 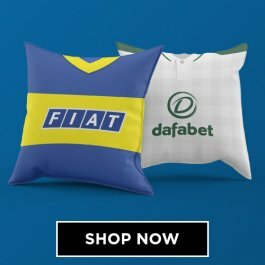 Under the guidance of Martin O’Neill, the club invested in a number of high profile players such as Hendrik Larsson, Chris Sutton, John Hartson and Neil Lennon and were involved in some fascinating title battles with Rangers, who were also investing heavily in players during this period. Celtic have their origins in the Irish community and were formed in 1887 by Brother Walfrid, with the original aim of raising money through football to help alleviate poverty in the East End of Glasgow. 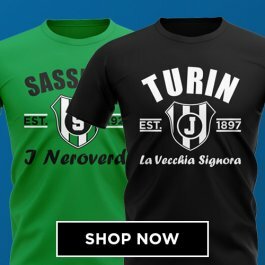 The famous Hoops did not actually appear on the shirts until 1903. In the early years, the club favoured striped jerseys which were worn with black shorts and socks. 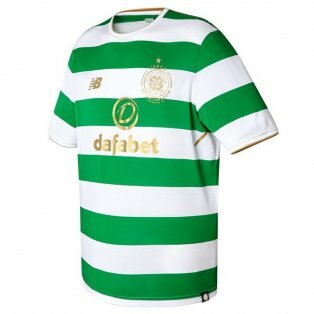 The modern day Celtic kits are worn with white shorts and socks. For the 2007-2008 season, Celtic introduced a special crest to mark the 40th anniversary of the European Cup win, which incorporated a single star to represent the famous triumph. The original club crest, which features a shamrock, was reinstated the following season. The first Celtic jerseys manufactured for sale to the public were made by Umbro in 1976. In 1984, a sponsor appeared on the replica shirts for the first time when windows firm CR Smith agreed a partnership with the club. The partnership with Umbro would last until 2005 when Nike agreed a long term deal with the club. By now, Celtic were sponsored by Carling, who would sponsor the club between 2003-2010. 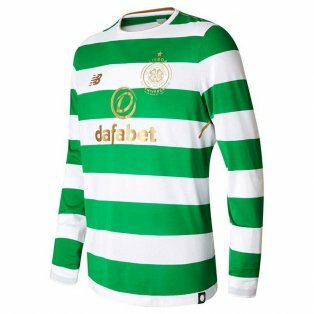 At the end of the Nike partnership in 2015, Celtic signed a lucrative kit deal with New Balance. 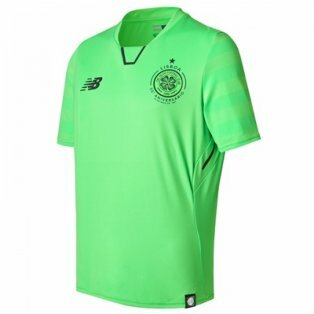 The demand for Celtic merchandise means that there is also a wide range of clothing and training kit to choose from in addition to the home & away replica jerseys. 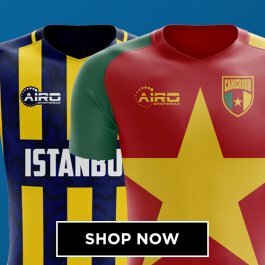 Celtic tracksuits are particularly popular with adults and kids alike, while polo shirts are perfect for wearing when a replica jersey is not appropriate attire. For lazing around the house, we have t-shirts, hoodies and sweat tops. All training wear can be personalised with your initials.